Bhim Nation boss Stonebwoy has revealed that he is the best in the country when it comes to music. There’s a saying that goes like “No one points to the hometown of his father with the left hand” and that is exactly what Stonebwoy has done. 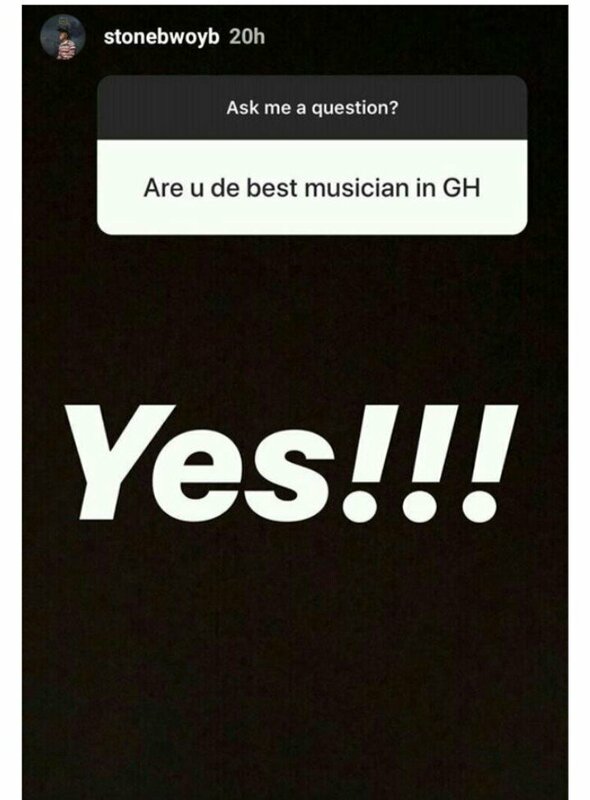 The “Bawasaba” hitmaker made this revelation when a social media user asked him if he’s the best in the music industry. According to Stonebwoy who has been bragging that he is a better artist than Shatta Wale has taken it further to refute that he’s the best musician in Ghana all other things being equal.